Since 2004 Dr. Marrone is employed in the Office of the Prosecutor of the International Criminal Court, the first permanent and treaty based international judicial institution established to help end impunity for the perpetrators of the most serious crimes of concern to the international community. 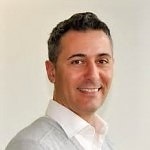 In 2016 Dr. Marrone has been a programme advisor at Cordaid development agency as an expert of international security and transnational justice. Dr. Marrone has published extensively on issues of public international law and international humanitarian law and lectured at various universities, including UNIBO, the European College, Groningen and Leiden Universities. Dr. Marrone completed a research project at Leiden University within the PhD Program Exploring the frontiers of international law. He holds a doctorate in law and his policy work analysed the intersection between law and politics in particular the progress achieved and achievable by the formulation of the global humanitarian policy and by the legal frameworks responding to international threats and crimes. The title of his PhD in public international law is “The Governance of Complementary Global Regimes and the pursuit of Human Security: the interaction between the United Nations and the International Criminal Court”. 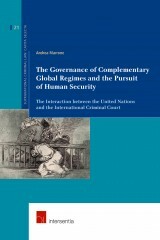 His multidisciplinary work provides an assessment of the international tools currently at disposition by the world community for the governance of international criminal justice in the context of human security and sustainable peace, dealing with intra- and eventually inter-state civil wars caused by autocratic, totalitarian and criminal regimes.